A government body has recently moved to bring auto lending oversight under its control. According to a press release earlier this week, the Consumer Financial Protection Bureau (CFPB) issued a rule today that gives it the ability to supervise larger, non-bank auto finance companies for the first time. The rule was accompanied by a set of examination procedures to ensure these companies are obeying the law. "Auto loans and leases are among the most significant and complex financial transactions in a typical consumer's life," CFPB Director Richard Cordray said in the release. 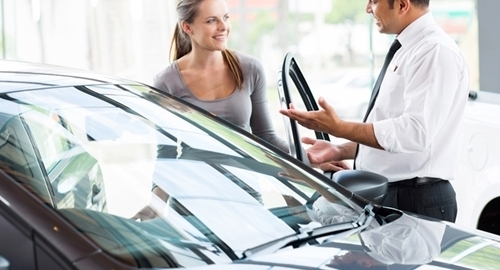 "Today's rule will help ensure that larger auto finance companies treat consumers fairly." The CFPB said that auto loans are the third largest category of household debt, behind mortgages and student loans, respectively. In the last quarter of 2014, Americans owed about $900 billion in outstanding auto loans. Leasing also supports this market, as more than 25 percent of all new cars are acquired that way. The CFPB already has oversight of the largest banks and credit unions that issue auto loans. The new rule will extend their reach over non-bank finance company that makes, acquires or refinances 10,000 loans or more a year. The rule will reclassify these entities as "larger participants," and the CFPB will ensure their compliance with federal consumer financial laws, which prohibit unfair, deceptive or abusive acts and practices. The rule, which was proposed last September, will cover 34 auto finance companies and their affiliates, the CFPB estimated. They account for about 90 percent of non-bank auto loans and leases and provided financing to 6.8 million consumers in 2013. With auto loan management software, lenders can adjust the terms of each deal, including length and interest rates, to each borrower's financial history while minimizing the risk of a default.